The June 2015 issue of INSIGHT into Diversity features global education and includes articles featuring 2015 AIEA Workshop presenters Marilyn Mobley and Andrew Gordon and AIEA members Natalia Dyba and David Fleshler. AIEA President Jenifer Cushman was a featured speaker at the British Columbia Council for International Education's Summer Seminar in Whistler, Canada. AIEA members John Hearn, Patti McGill Peterson, and Baishakhi Taylor presented at the 2015 Going Global Conference in London, UK. 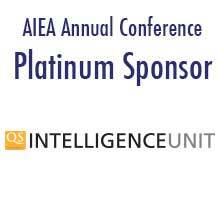 AIEA President-Elect Gil Latz quoted in Education Writers Association blog post "Influx of International Students Spurs U.S. Colleges to Change."